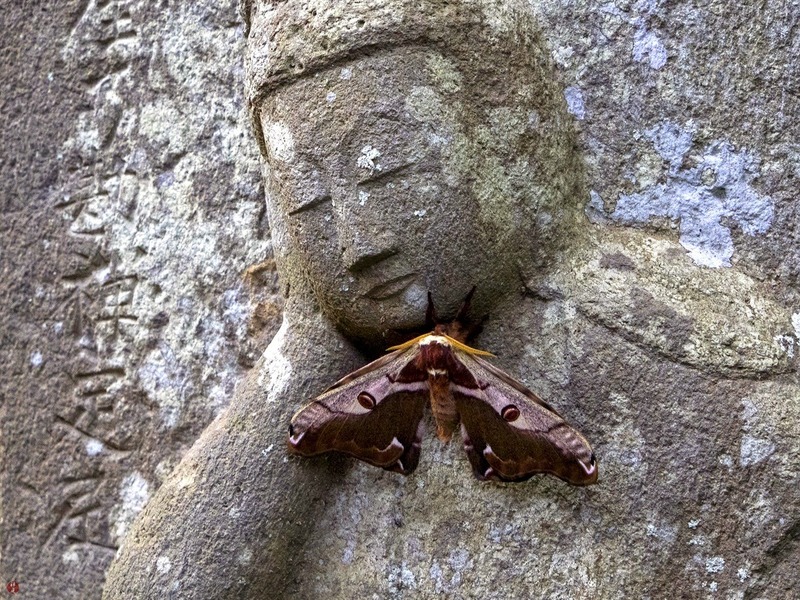 A beautiful silk-moth is tightly clinging to the stone image of Nyoi-rin-kannon as if to ask for teachings and protection from this deity of mercy. 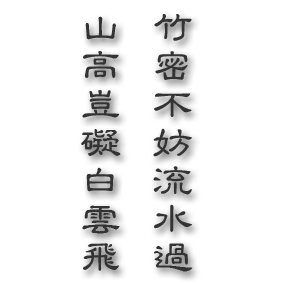 "Nyoi" stands for the precious orb which brings wisdom and happiness and "Rin" means the chakra which smashes any earthly desire. Nyoi-rin-kannon hold these divine belongings to bring salvation for all living things.